IT and Professional Development Training Services Offered by Saitech Inc - Saitech Inc.
Saitech Inc is now providing you with the latest IT and professional skills training. Saitech Inc offers the broadest professional development course portfolio in the industry, award-winning curriculum backed by decades of experience and a variety of course delivery options to enable individuals and organizations to sharpen skills and optimize business operations. Select training from thousands of courses by topics focusing on the latest industry best practices and technologies and by brands including the world’s leading companies. Our instructors are real-world practitioners who stay current on the latest technologies and trends and can provide tips that are relevant for today’s individuals, teams, and organizations. We offer multiple types of Delivery format to meet your challenging needs and offer your IT staff the flexibility to enhance their professional knowledge. 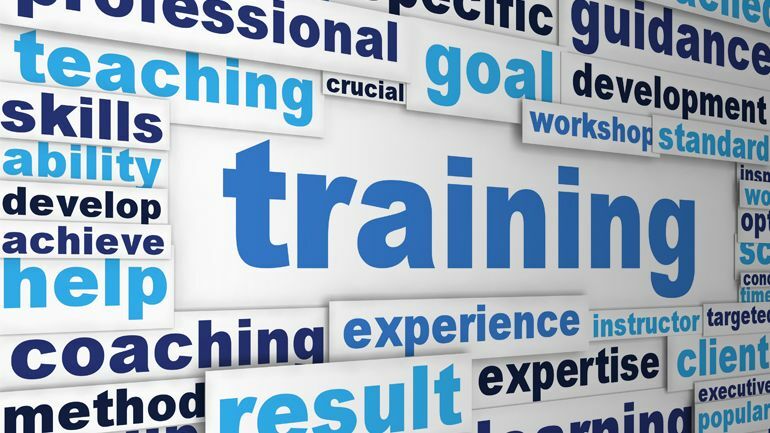 We can ensure you that you will get industry’s best quality training at the most cost effective pricing for your in-staff skills training and professional development. Saitech Inc would offer you much lower costs compared to MSRP and additional government public sectors discounts. Our clients get to select an option to browse the course catalog by topics or by vendor and view available course dates, schedules and delivery formats. Saitech Inc. wants to ensure we maximize the value of your Microsoft purchase so that your team has the necessary knowledge to make the most of your investment. Microsoft technology is evolving faster than ever, with more frequent releases and updates and more opportunities to work better, smarter and faster. Keeping up can be challenging. That’s where Saitech Inc comes in. Our combination of Microsoft expertise, training exclusives, and flexible class schedules takes learning beyond the classroom and provides you with the resources you need to put your training to good use. Class recordings, practice labs, mentoring and retakes are at your disposal with the purchase of any qualified Microsoft course. Training with Saitech Inc means more than taking classes. . Maintaining the right skills is critical. That’s precisely why you need options and flexibility. With Microsoft On-Demand from Saitech Inc, that’s exactly what you get: the opportunity to dive into Microsoft Official Curriculum content when you need it, consuming a full course or a single module at a time whichever you choose. Get extreme flexibility with three months of access to a course of your choice from our comprehensive collection. IT professionals can build deep technical skills on a wide range of Microsoft technologies when and where they choose. With this modular, self-directed structure you can complete training in an order of your choosing, allowing you the freedom to focus on what you don’t know, or on what you need to know right now. The courses combine high-quality video, reading, live hands-on labs and knowledge checks, to help IT professionals and developers like you build your Microsoft technology skills as your schedule allow—all at once or five minutes at a time. Microsoft Official Courses On-Demand are ideal for those who find it difficult to get five days out of the office to attend in-classroom training. It’s the next best way to prepare for your Microsoft Certified Practitioner exams, supported by authorized content and labs. More choice, more flexibility. One purchase gets you 12 months of unlimited access to our ever-expanding collection of Microsoft Official Courses On-Demand. As new courses and course updates become available, you’ll automatically gain access to them for the duration of your subscription. Work toward certifications or mastering skills. Where, when, and how you study is up to you. These courses are stamped with Microsoft’s approval, so you can trust that this official content is worthy of your time. Unlimited access to the entire collection of Microsoft Official Courses On-Demand for 12 months. Access to all course updates and additions during your subscription period. 24/7 access to HD-quality streaming videos, hands-on live labs, knowledge checks, and mentoring via chat, email and phone.